To their great and lasting credit, the people who run the Washington Post adopted a new motto last year as the Trump era dawned. The Post’s print and online mastheads began prominently featuring the phrase “Democracy Dies in Darkness.” The obvious implicit message: Donald Trump and his wrecking crew may be in a position to do great damage to the Republic in the days ahead, but we’re sure as hell not going to let them do it in secret. Happily, in the months that have followed, the content generated by the Post has mostly lived up to this lofty aspirational tone. After many years during which it struggled to recapture the mojo of its late 20th Century glory days, the most important news organization headquartered in the nation’s capital is today, thankfully, back to breaking vitally important news stories and speaking truth to power. Oh for a fresh injection of the Post’s skeptical and even confrontational spirit into the proceedings inside the state Legislative Building in Raleigh. No, this is not intended as an indictment of the mainstream news media in the state capital – most of which has been decimated by repeated staff cuts and that, for the most part, does a creditable job (more on that below). 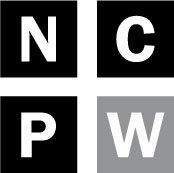 It is, however, intended to call attention to a growing and increasingly dangerous phenomenon that plagues North Carolina’s legislative branch of government – namely, the startling lengths to which legislative leaders are willing to go to lock out the public and to keep it from following, much less influencing, their deliberations and lawmaking. In some ways, of course, this is not a new story. Ever since Republicans seized control of the General Assembly in 2011, there has been a broad and steady decline in open debate and fair process. Whether it’s cutting off debate on legislation, holding surprise, late night sessions, regularly ignoring the committee process, burying new and controversial laws that were never previously discussed in omnibus budget bills that cannot be amended, holding an endless series of “special” legislative sessions, refusing to record and archive all sorts of important proceedings, or even directly and blatantly punishing lawmakers who dare to speak up during debate, Republicans have evidenced little shame. Much as has been the case with gerrymandering, legislative leaders have not so much invented new tactics and tricks as they have cynically perfected and expanded the use of old ones. Two classic and worrisome examples of the creeping secrecy and darkness that plagues proceedings at the Legislative Building have been on display in recent days. Number One is the almost complete collapse that has taken place with respect to the concept “session.” For many, many decades, the North Carolina General Assembly operated under a system in which lawmakers only came into session (that is, the periods during which they were officially doing business and passing new laws) at regularly scheduled and widely understood times. The “long session” convened in January of odd numbered years and adjourned sometime in the late spring or summer. Lawmakers then returned for a “short session” the following spring that usually lasted only a couple of months. While the concept of “special sessions” was hardly a foreign one, such sessions were, as a rule, rare and truly special. They were only called for specific purposes at specific times and lasted for a brief and finite period. Under Republican rule, this has changed. Special sessions are now called with great regularity – sometimes, even while legislators are in town for another special session. What’s more, the distinction between “regular” and “special” sessions has become all but meaningless. To make matters even more opaque and confusing, though lawmakers have technically been “in session,” nothing has actually been happening. Instead, a handful of lawmakers have been convening the House and Senate for a few minutes each day – so called “skeletal” sessions in which no formal actions are taken – while the majority of legislators stay at home or hover around the Legislative Building in a weird state of suspended animation, waiting for a signal from the powers that be. As you can see, this distinction between different kinds of session is not just a matter of semantics. 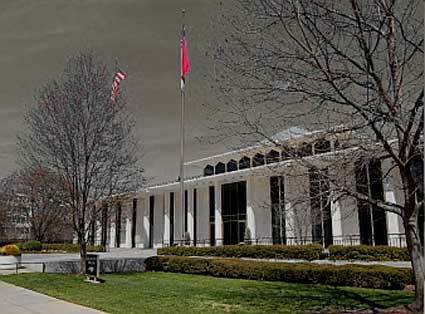 If lawmakers were in Raleigh for a special session, the public would at least have a clue as to why they were in town. In the present situation, no one has any idea. While rumors abound, the Legislative Building is mostly dark and quiet— save for occasional sightings of Senate President Pro Tem Phil Berger and House Speaker Tim Moore, who periodically deign to offer vague musings about what might come up at some ill-defined time. That’s it: no regular committee meetings, no public discussion and no chance at all for even lobbyists and the news media – much less the public – to follow the legislative process and to provide informed input. Just a handful of powerful lawmakers and staffers sitting behind closed doors preparing to spring any number of finished new laws (and maybe even constitutional amendments) on the rest of the legislature with, in all likelihood, only a few days’ (or even hours’) notice. It is, in short, not unlike the lawmaking that took place under the old Soviet Politburo: a legislative process in name only. And as bad as things have gotten on Jones Street, example Number Two shows that they may well get worse before they get better. Last week, with no fanfare, the head of the Legislative Services Office, former Raleigh mayor and Wake County commissioner (and longtime arch-conservative activist), Paul Coble, simply announced that there would be no more “tabling” in the Legislative Building. This means that after many decades in which civic and advocacy groups have been able to reserve a space for a few hours in the “People’s House” at which they could share information and promote their cause(s) to lawmakers, staff and others, the practice is simply over. According to the NC Insider, Coble told Lynn Bonner of Raleigh’s News & Observer that the building courtyards become congested, and it gets too noisy for legislators to work. The Legislative Building is not a meeting hall, he said. “We’ve had some legitimate complaints from members and staff that it’s getting out of hand,” Coble said. You got that, people? No more of that pesky noise or unruliness in the Legislative Building. None. We’re not even going to look at ways to find some kind of reasonable middle ground or, God forbid, address the sound issues in the concrete and marble barn. Everyone out of the pool! What would the Washington Post do? As noted above, it’s hard to cast too much blame on North Carolina’s mainstream news media in its present diminished state for not raising more heck about either of these recent developments or the more general dearth of sunlight on Jones Street. The handful of reporters who remain in the once bustling legislative press room are all overwhelmed and have way too much to cover. That said, it does seem at times that some in the 2018 press corps have allowed themselves to become accustomed to and accepting of things that many of their predecessors would have loudly protested. Maybe it’s a question of simply being worn down over time or, conversely, of being too inexperienced and desirous of projecting a cynical, world weary image, but whatever it is, the darkness that is increasingly enveloping the General Assembly demands a much louder and more forceful pushback than it’s currently receiving. Without it, a small portion of our democracy is dying each day.